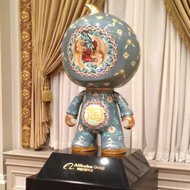 As Alibaba debuted on the New York Stock Exchange and took the World by storm, it marked the occasion by giving the New York Stock Exchange a Tao doll patterned after the mascot for its Taobao marketplace as a sign of respect. It was quite a day as it debuted. 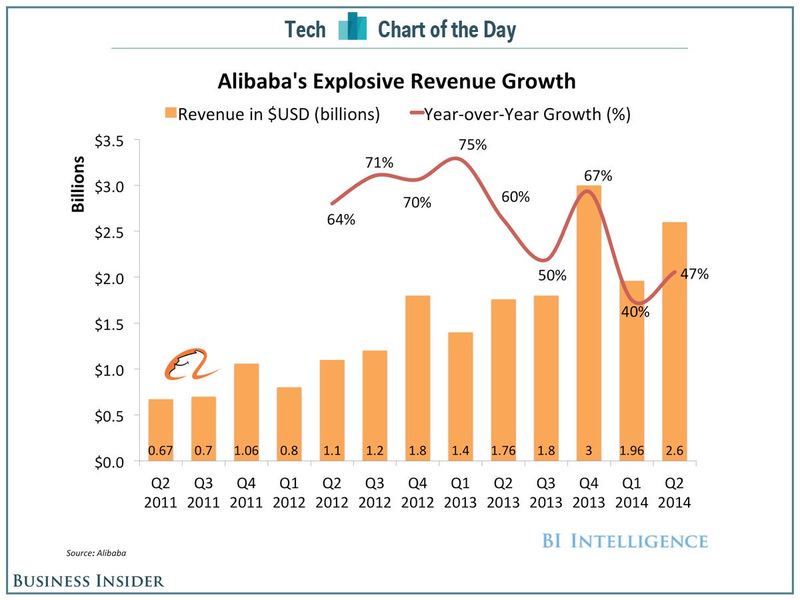 The team at the Business Insider went on to note that, "....Based on company data charted for us by Business Insider Intelligence, Alibaba’s revenue has shot up in recent years, reaching $2.6 billion in the most recent quarter, which was up from $1.1 billion in the same quarter a year ago. While its growth is not as explosive as it was two years ago, Alibaba is still consistently posting strong results each quarter, especially since Alibaba’s family of e-commerce sites sell four times more “stuff” than eBay...." On the eve of the IPO on Friday, New York Times did a nice piece of what exactly Alibaba is today--as well as noting the Tao Doll Gift given to the New York Stock Exchange as a sign of respect. Jack Ma had a fabulous Day as he saw a company that he began with $ 60,000 with family and friends explode on the scene on Friday. Silver Lake Partners, Yahoo & Softbank have also seen an explosion in the initial investments they made. It is also worth noting that Jerry Yang's fateful decision to support Alibaba at its' inception may in many ways have saved Yahoo as Marisa Meyer continues her quest to remake Yahoo--a task that continues today. So far, the stock seems to be holding its' own as the second day begins as a public company. Yet, Mohammad El Arian, the Former CEO of PIMCO, gave a warning that should not be discounted. It is yet again fascinating to be witness to history. I appreciate your insight on Alibaba. I was happy to see your contribution as I was looking for more information. My husband "invested" in it, so we are really hoping for the best! Take Care!